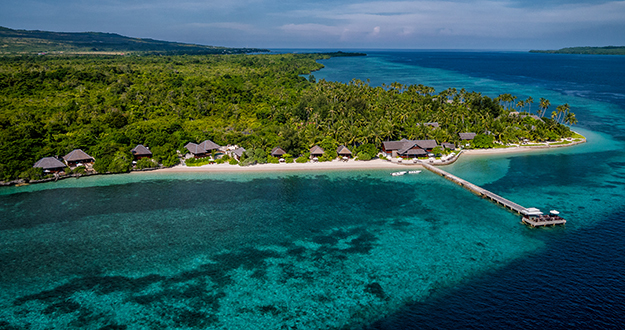 Whatever the motivation, snorkelers have numerous world-class options to choose from when they don mask and fins and enter the wonderful waters of Wakatobi. Many snorkelers begin their swims at the resort’s jetty, as this structure not only provides easy access to the water in all tide conditions but also presents a fecund environment for marine life. Around the jetty, the underwater scene changes through the day, and with the tide. Snorkelers can always count on seeing the mantles of giant clams and a wealth of colorful anemones filled with the attendant life forms that find shelter among the tentacles. With ample sunlight, the upper rim of the reef reveals a cornucopia of macro life hiding among the hard and soft corals. A few fin strokes toward the shore carries snorkelers into a very different world, one where meadows of seagrass and small coral heads provide a safe haven for a wide variety of juvenile reef fish, as well as a rich environment for odd and beautiful creatures such as frogfish, stonefish, blue ring octopus, moray eels, blue spotted stingrays, ghost pipefish, jawfish, shrimp and goby pairs. While Wakatobi’s House Reef is justifiably famous, it is by no means the only choice for snorkelers. By hopping aboard one of the resort’s dive boats, snorkelers can gain access to dozens of additional sites. These spacious boats provide plenty of shaded deck space to relax. One preferential favorite snorkel site that is just a short boat ride away from the resort is Turkey Beach. 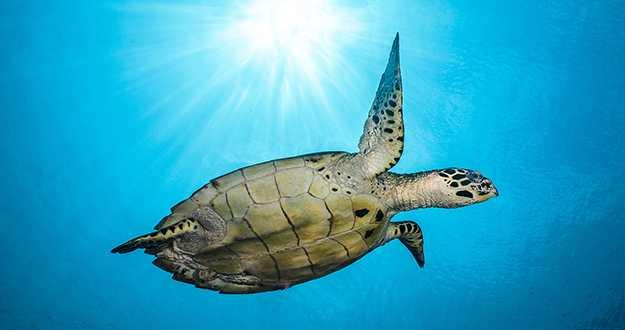 This site is best known for its resident population of sea turtles, which can be often found gliding along the edge of the drop-off. In addition to the turtles, this site is often loaded with a variety of fish life, including eagle rays and bumphead parrotfish. The underwater terrain consists of a series of ridges riddled with shallow overhangs and undercuts festooned in a vast array of hard and soft corals. Snorkelers looking to hone their photography skills will find a plenitude of subjects at Zoo within a meter or two of the surface. Among the resident species hiding among the corals are frogfish, ghost pipefish, mantis shrimp, leaf fish, funky hairy squat lobster, and more. One of the more intriguing small animals found at this site are mushroom pipefish. 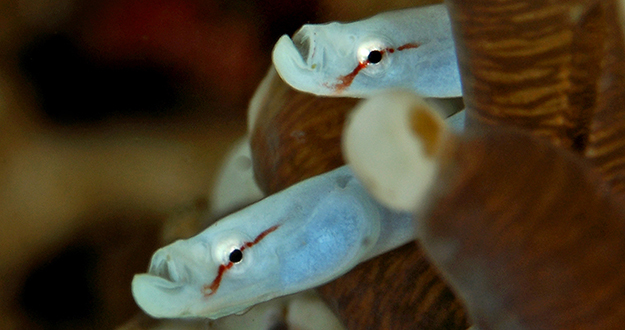 As the name implies, these creatures lurk near mushroom anemones. This small white pipefish has a triangular head, which makes it look less like a pipefish and more like a small underwater python. Just beyond the western edge of the resort the reef’s rampart-like slope transitions to a series of seamounts. One of the most scenic of these underwater mountains is Table Coral City. This formation rises from depths of 30 meters to within two meters of the surface, with upper slopes covered in huge plates of the site’s namesake table corals, along with patches of cabbage coral and fields of staghorn coral. A school of chevron barracudas circles the mound, giant trevallies hunt in the shallows, and the entire top is at times covered in swirling anthias. The list of resident species also includes schools of snappers, turtles, ribbon eels, frogfish, and octopus. Another favorite snorkeling venue that lies to the north of Table Coral City is the seamount known as Roma. This site offers divers a range of habitats within a relatively small area. The shallow top of the pinnacle encompasses a small sandy area that is fringed with a beautiful patch of stony coral and adorned with anemones and clownfish. 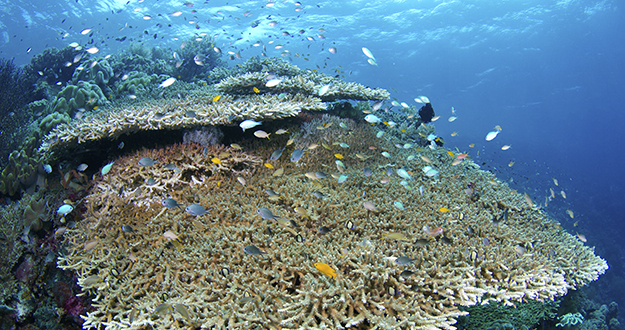 To one side lies a large expanse of pavona coral that shelters a plethora of reef fishes. On the opposite side of the mount lies a drop-off fringed with table corals, soft corals and fans. Around this slope swirl schools of fusiliers, pyramid butterflyfish, sergeant majors, houndfish and redtooth triggerfish, while banded sea snakes can be found poking around the coral, foraging for food. Macro life at this site includes ribbon eels, scorpion leaf fish, winged pipefish, spindle cowries, carpet anemone shrimps and rockmover wrasses. Whether they are simply fish watching or using a camera to capture keepsake images, this site has everything needed to keep snorkelers enthralled. There are more than a dozen additional exceptional snorkel sites within a half-hour’s boat ride of the resort. The list includes venues such as Magnifica, Lorenz’s Delight, Pastel Reef, and Pinki’s Wall. Each of these sites has its unique features, but also share similarities, as they are located along the western edge of the expansive Sawa reef system. 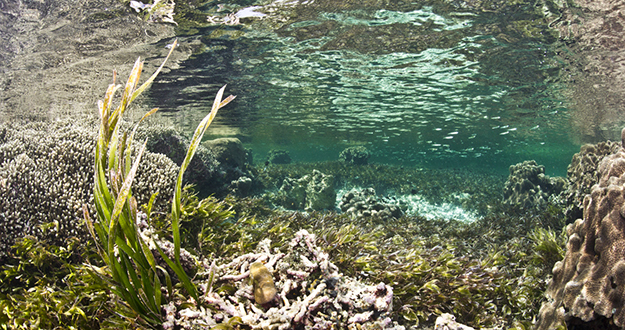 While divers focus on the drop, snorkelers can spend hours wandering around the shallow plateau above. At Fan Garden, for example, a large number of multi-colored sea fans undulate in the sunlight, beckoning snorkelers to come in search of the many small creatures that hover, dart or hide among the fronds. Farther to the south, Lorenz’s Delight brings the reef right to the facemask, with coral formations that continue upward to within two feet of the surface. This creates an excellent opportunity for snorkelers to focus in on the tiniest of animals that might otherwise be missed at greater depths. One could devote entire days to exploring the shallows of Sawa reef, and more adventurous snorkelers might even opt to join divers at one of the more distant walls or seamounts visited by the dive boats. 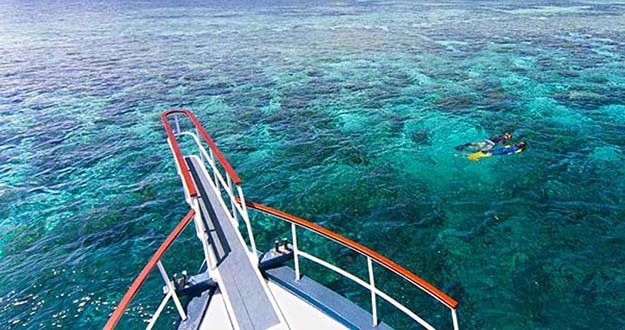 Ultimately, most snorkelers will find themselves combining boat trips with time on the House Reef, where there are no schedules to keep, and no time limits other than one’s personal interest and the lure of a savory meal that awaits ashore. Calling all snorkelers! Isn’t it time you enjoyed the reefs of Wakatobi? Contact us at office@wakatobi.com or complete a quick trip inquiry at wakatobi.com.